After experiencing some highs and lows this past season, Brian Wilson is hopeful for a better year in 2018. “I’m hoping to have a good season, running part-time with good competition and lot of good times at the track,” he told SHORT TRACK MUSINGS. Whether at Full Throttle Motor Speedway, Flamboro Speedway, or another track, the goal remains simple for the driver of the No. 14 – be faster than last year, with no dents at all. 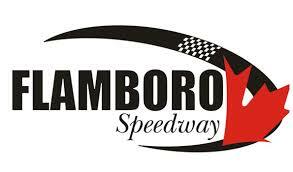 One of the events he will hope to be a factor will be the “STOCK” Car Nationals at Flamboro. While he was able to win some races this past year, it’s no secret it didn’t go smoothly as he wishes he had some of the team’s issues sorted out sooner, and a better showing at the invitationals. Now moving ahead, the key will be having fun, and not letting the bad times get him down. For Wilson, he got interested in racing through his father, helping work on the car as a kid. Since beginning, the success has happened along the way, with the most memorable moment winning a pair of events in one night, despite having to start at the back for both.